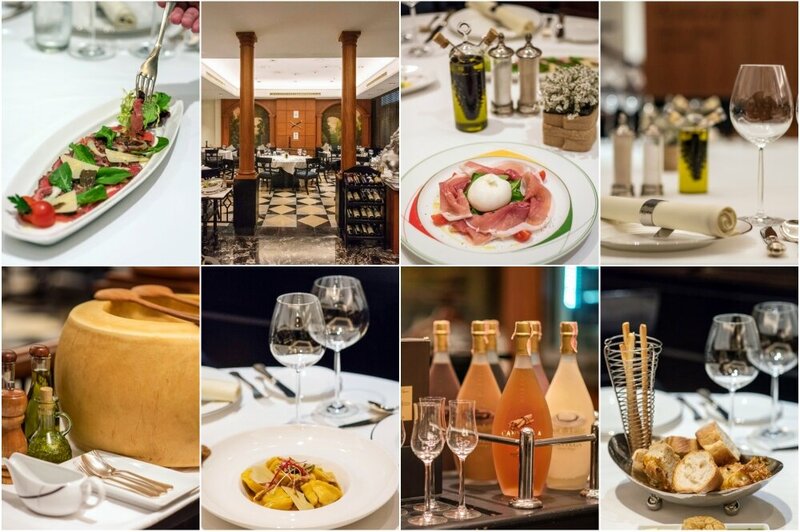 If you are looking for an Italian restaurant with a high-luxury atmosphere and succulent Italian specialties from well-sourced ingredients, Don Giovanni is a truly remarkable journey that will get your taste buds tingling! 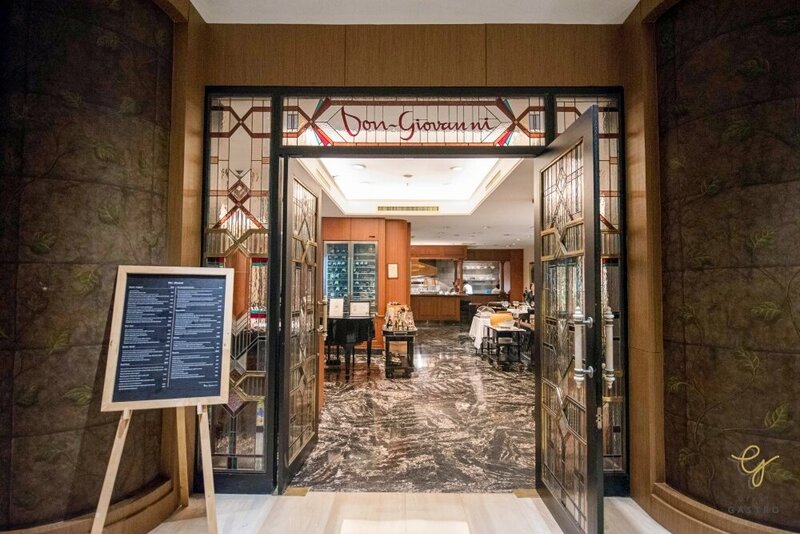 Located on the northern side of Bangkok, Don Giovanni is one of the most outstanding restaurants in Centara Grand at Central Plaza Ladprao Bangkok Hotel‎. 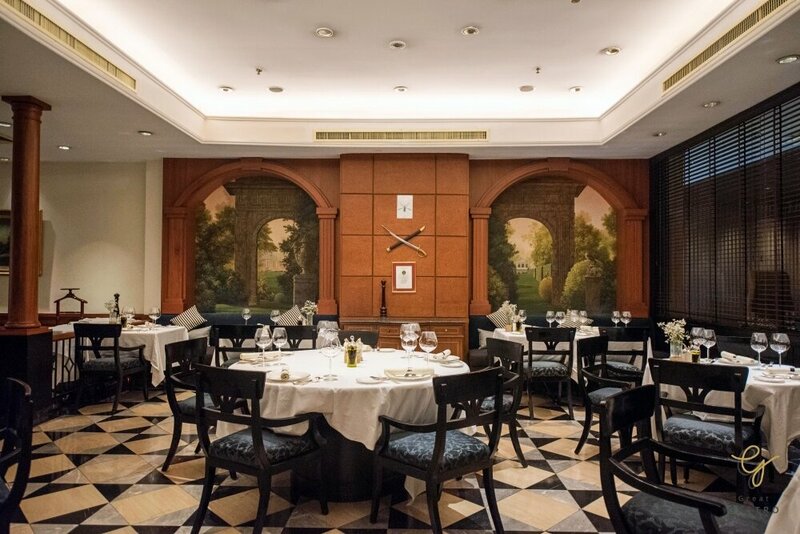 The name “Don Giovanni’ is derived from the famous opera with music by Wolfgang Amadeus Mozart, the story of a famous legendary character Don Juan, while the decor of the restaurant is also inspired by the Don Juan Legend with ancient swords on the walls, European stucco sculptures, and many more. 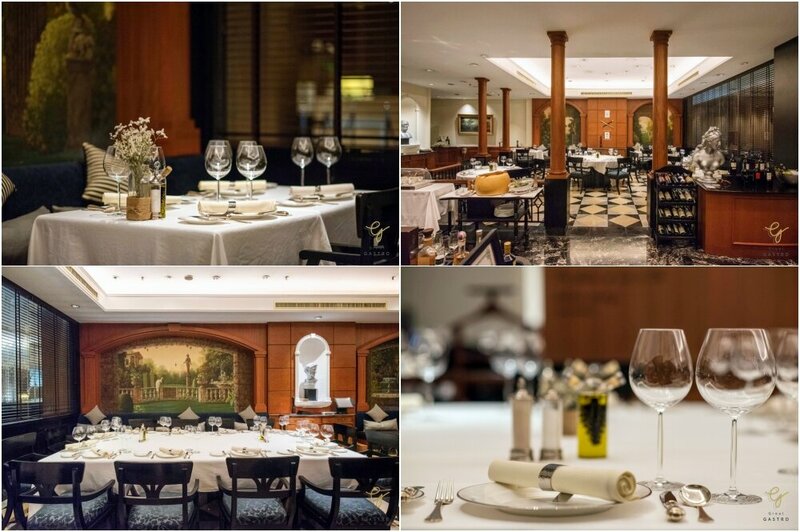 The gorgeous yet warm and welcoming vibe of the interior comes with the surface of marble floors in black-and-white checkerboard and the wooden walls lined with beautiful frescoes, exuding a nostalgic feel of being in the medieval period of Italy. 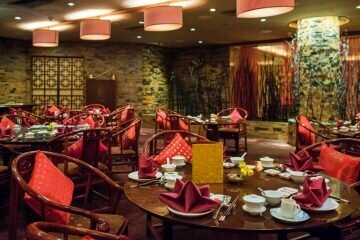 Elegantly decked with mosaic mirror tiles, the entrance can easily attract passersby into the outlet. 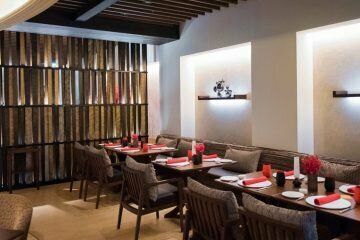 Behind the doors reveal the sleek grand piano flanked by dining tables with clean white tablecloths and splendor eating utensils. 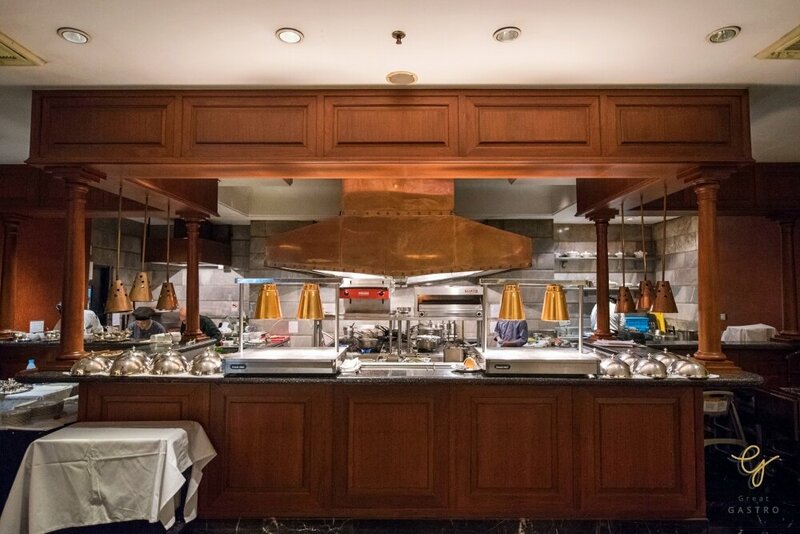 At the rear of the restaurant, there is an open kitchen where you can see the chefs actively create their magic as pastas and other dishes are prepared with love and care. 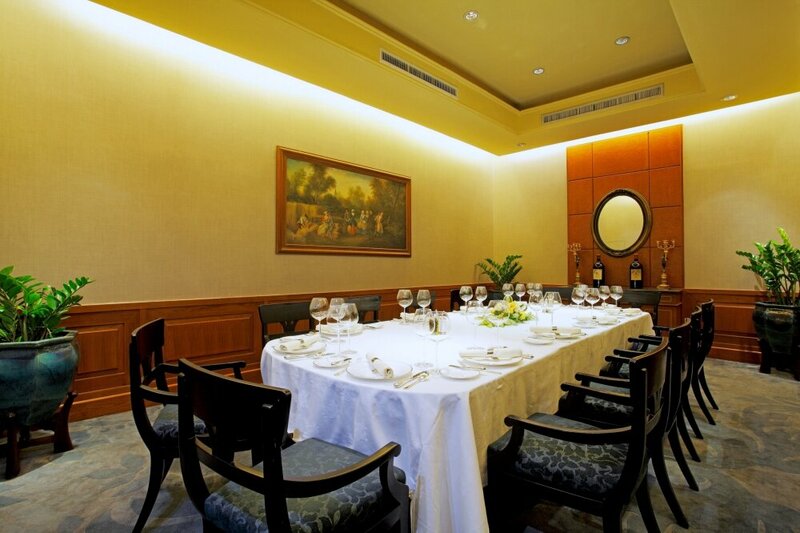 But if privacy somewhat matters to you, Don Giovanni also provides a private dining room which you can book in advance. 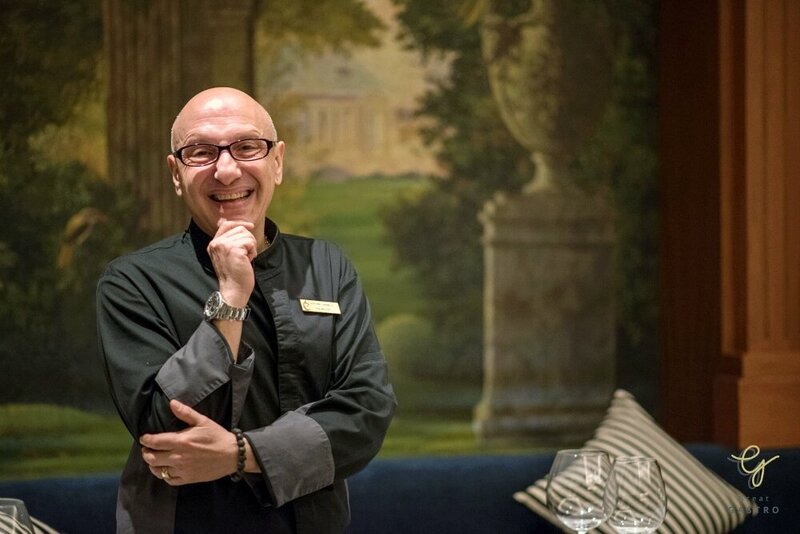 The kitchen is dominated by Chef Stefano Zaninelli, a native Italian chef with more than 30 years of culinary experience in Europe and Middle East before ending up working in Thailand for 8 years. 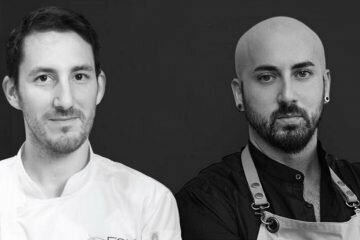 Chef Zaninelli’s birthplace is a small town situated close to Milan known for its famous risotto rice, Carnaroli and Arborio. 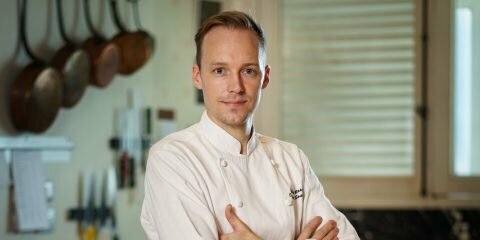 The town is also famed for its culinary delights and renowned chefs, which encouraged his desire to become a professional chef. 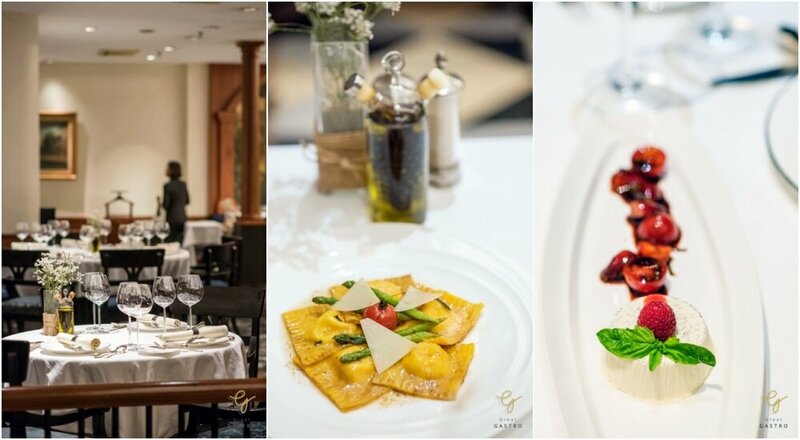 His menu is mainly focused on traditional Italian flavors, authentic recipes, and a selection of the freshest and finest ingredients, using modern methods of food plating and presentation. 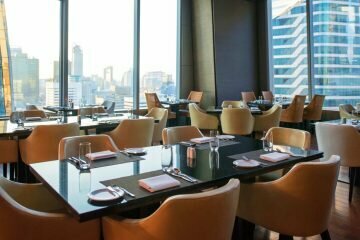 It is no wonder that his creations can easily titillate every discerning diner’s taste buds. 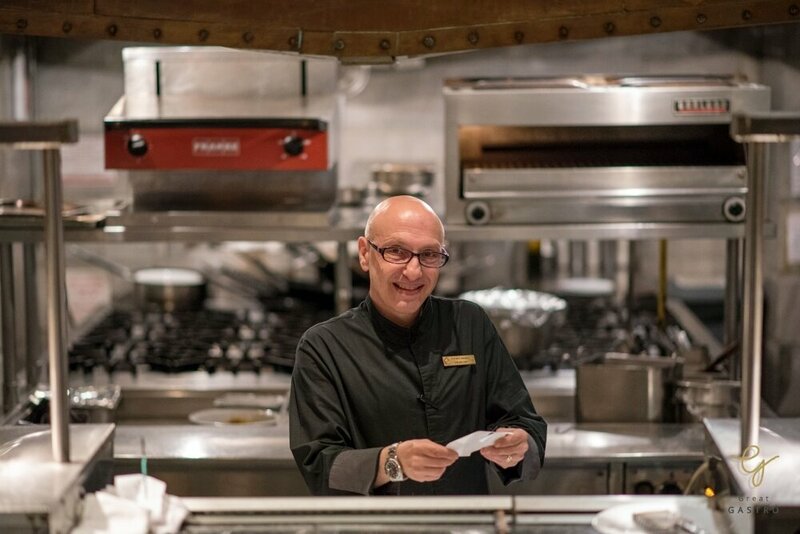 The journey through the Italian taste starts with freshly baked bread, served with olive oil and balsamic vinegar, as a part of Italian culinary tradition. 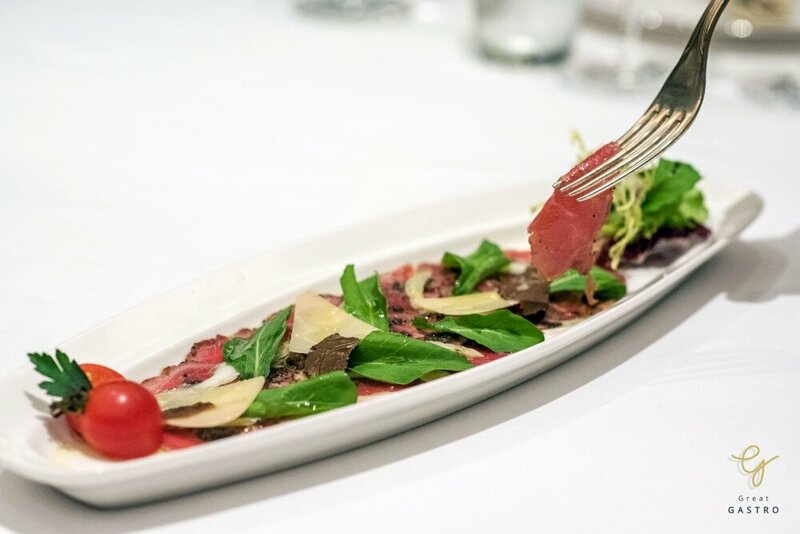 Start the feast with Carpaccio, an authentic Italian appetizer that was created in 1950 in Venice. 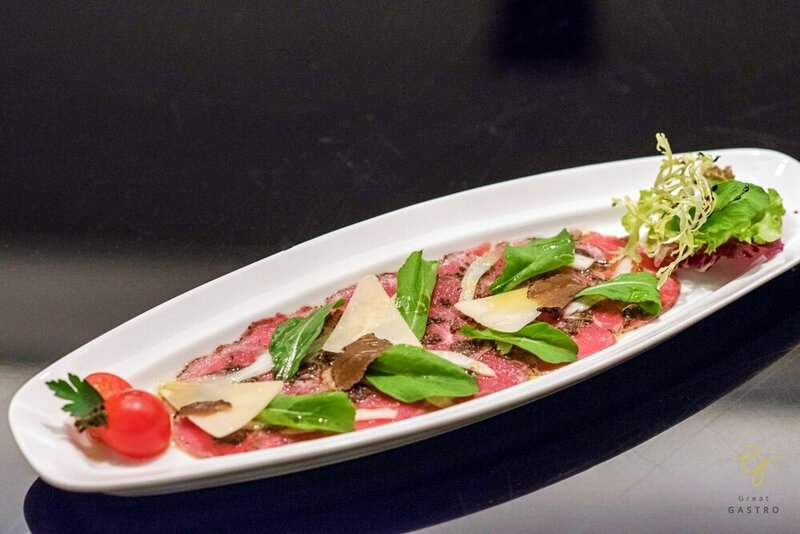 The highest grade Japanese Wagyu beef is slightly pan-seared and thinly sliced by the hand of the chef. 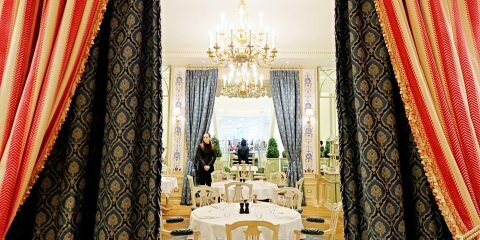 It is then dressed with aromatic truffle oil and a hint of lemon before garnishing with cheese and truffle slices. 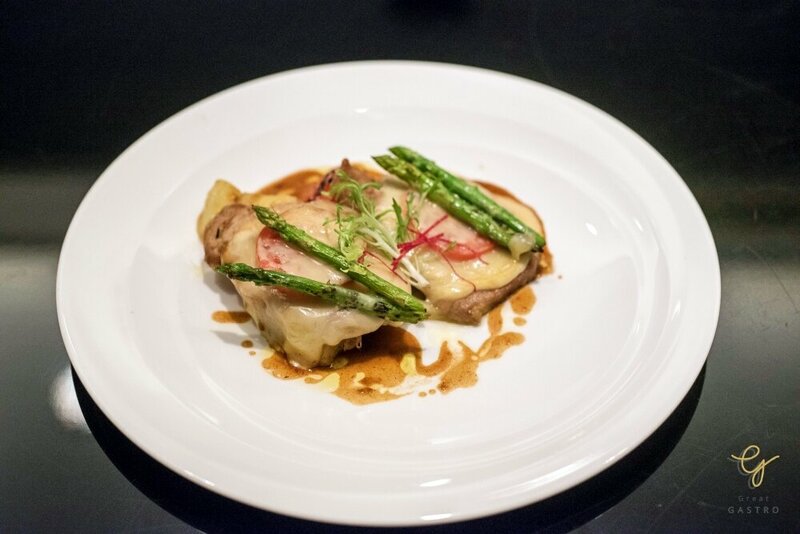 This menu is mild in flavor with a unique taste of beef and distinctive aroma of truffles. 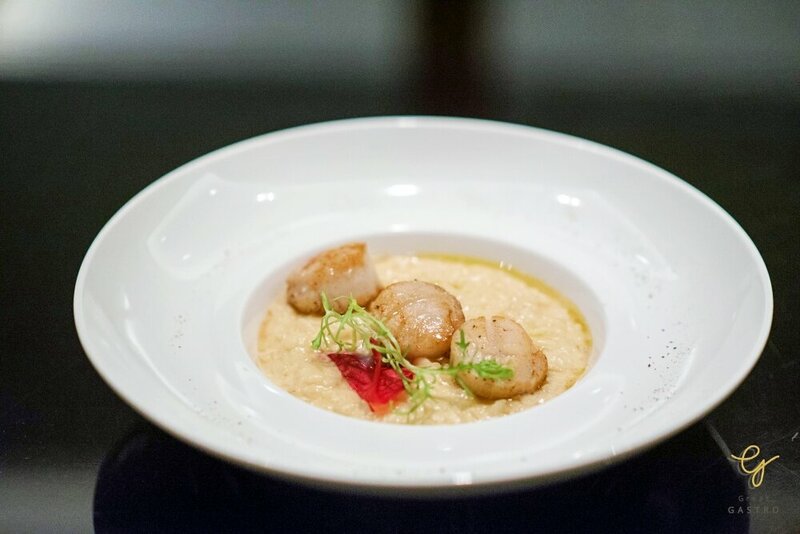 The second appetizer consists of two amazing ingredients: foie gras and Alaskan scallop, cooked with modern techniques. 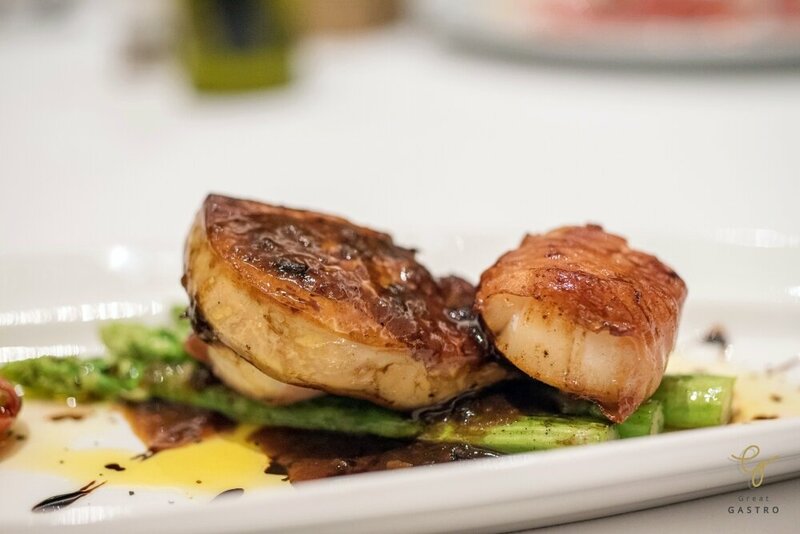 The scallop is wrapped in Parma ham and perfectly seared until its turns golden brown on the outside while the thick slice of foie gras is quick-fried in hot oil until it becomes luscious. 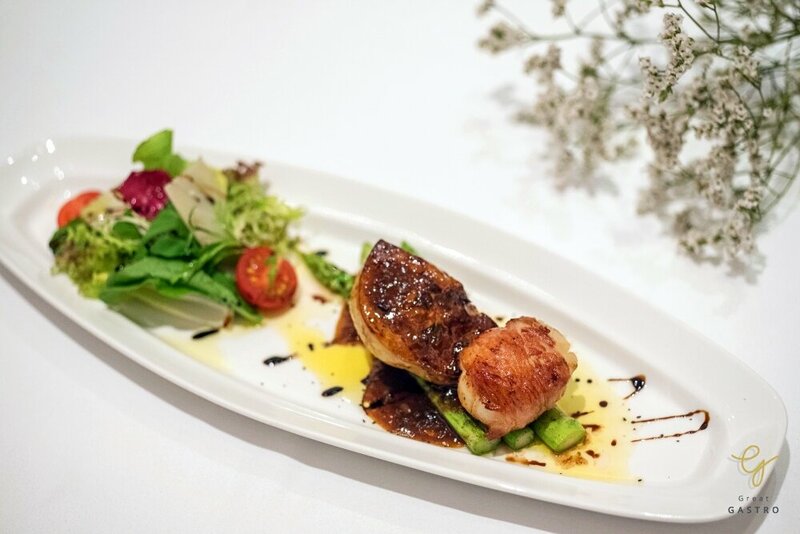 These delicious stars are nicely placed atop asparagus and rocket salad before capping off with fragrant truffle sauce. 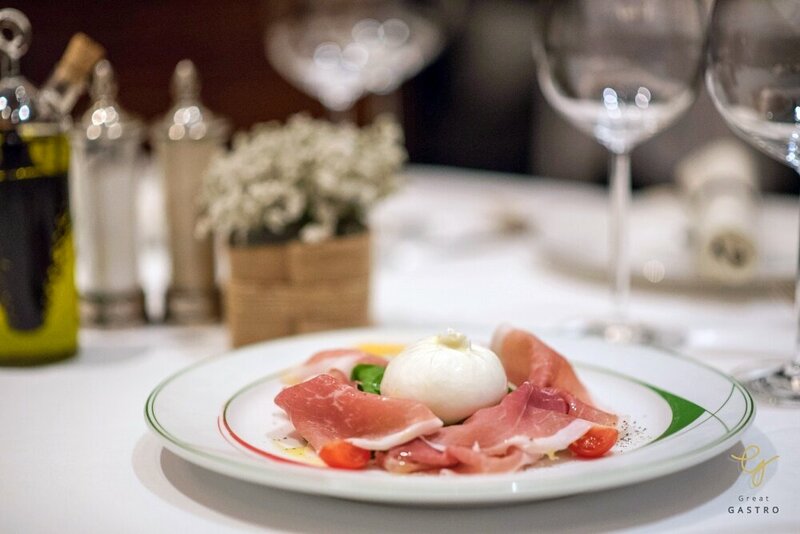 Another outstanding Italian menu created by Chef Zaninelli is the soft, springy Burrata cheese made from mozzarella and cream. 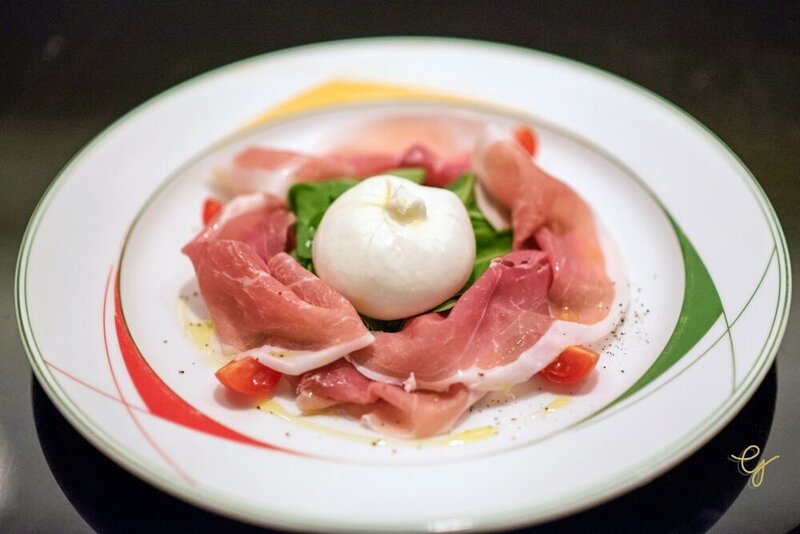 Fused with truffle and served with rocket leaves and San Daniele ham, this exclusive Burrata cheese is without a doubt extraordinary distinctive. 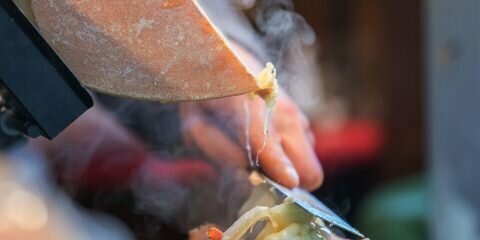 Continue with a not-to-be-missed item which is an authentic risotto, perfectly firm with an al dente bite. 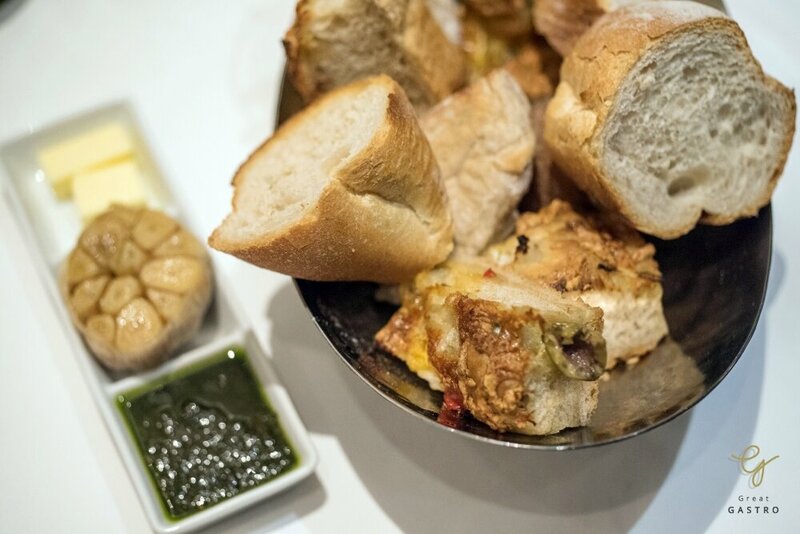 It is seasoned with a mix of Prosecco wine and cheese, and served with 3 jumbo pieces of roasted scallops. 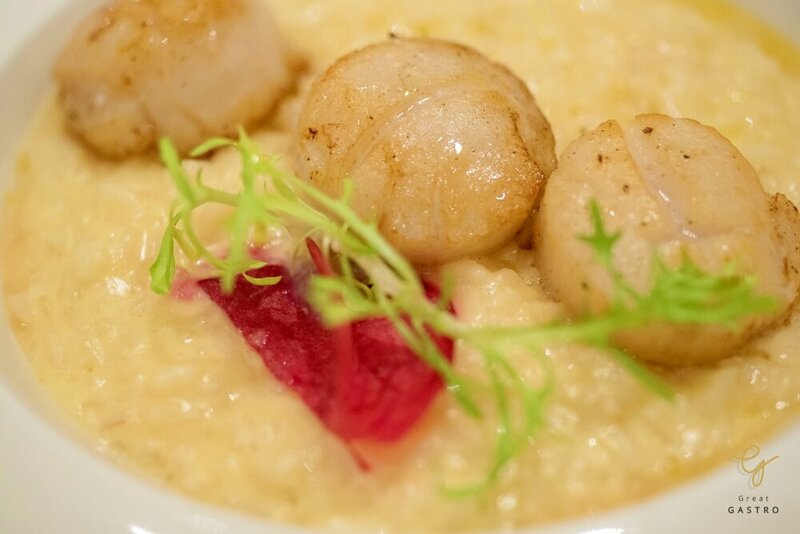 A sweet mild flavor of scallops goes beautifully with this Prosecco wine risotto, a perfect menu those with Italian tongues should never miss! 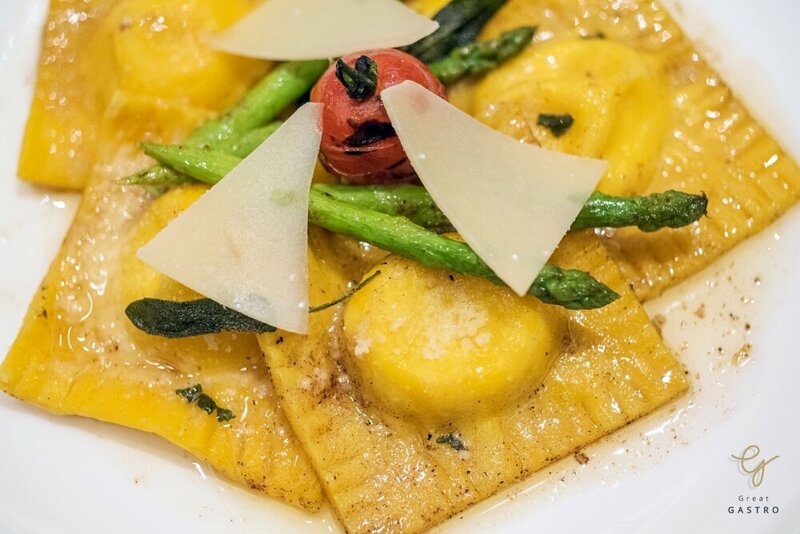 Indulge in traditional Italian ravioli handmade by the chefs from Don Giovanni. 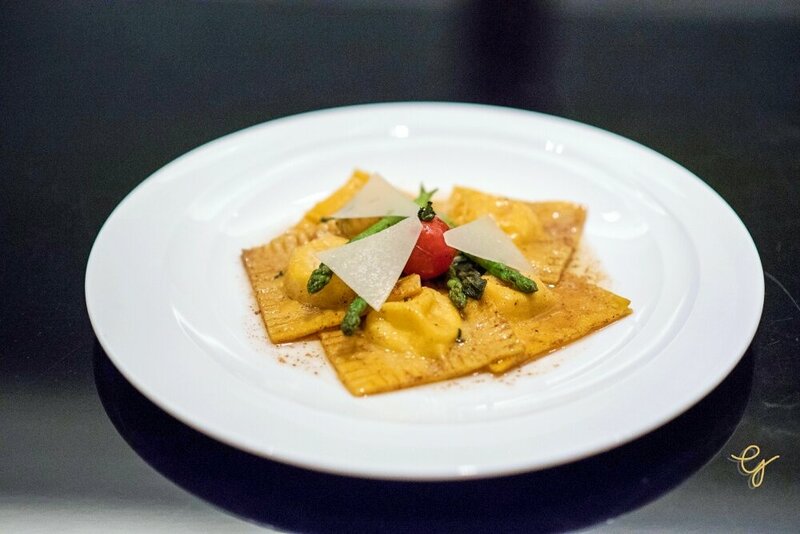 The ravioli is al dente with a slightly firm bite, concealing aromatic cheese inside, accompanied by asparagus and brown butter sauce. 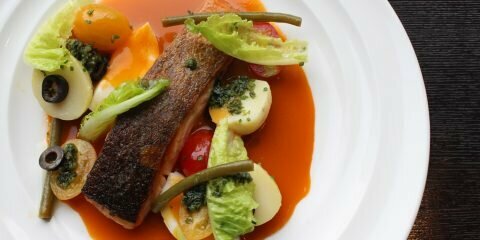 It’s a combinations that succulently combines common local ingredients. 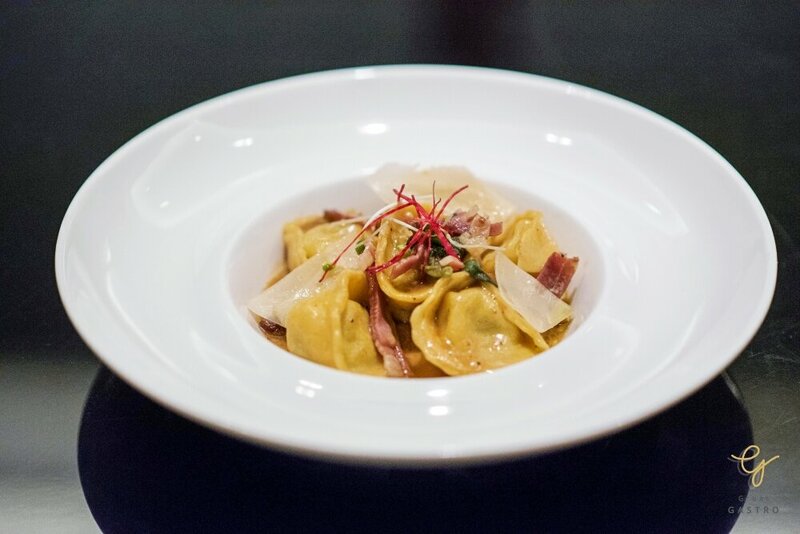 Before the main course, treat your body and taste buds to the homemade tortellini filled with delicate braised beef. 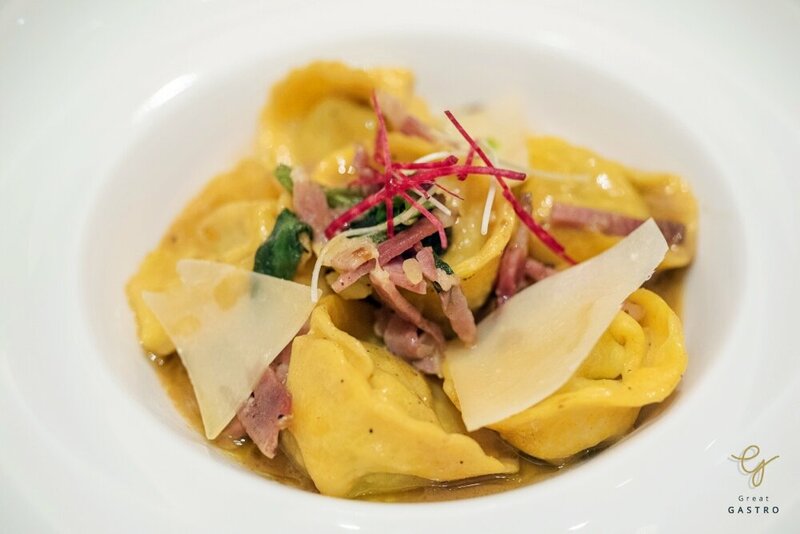 The tortellini is pan-fried with butter sauce, speck, and sage leaves that help emphasize the best of flavor. 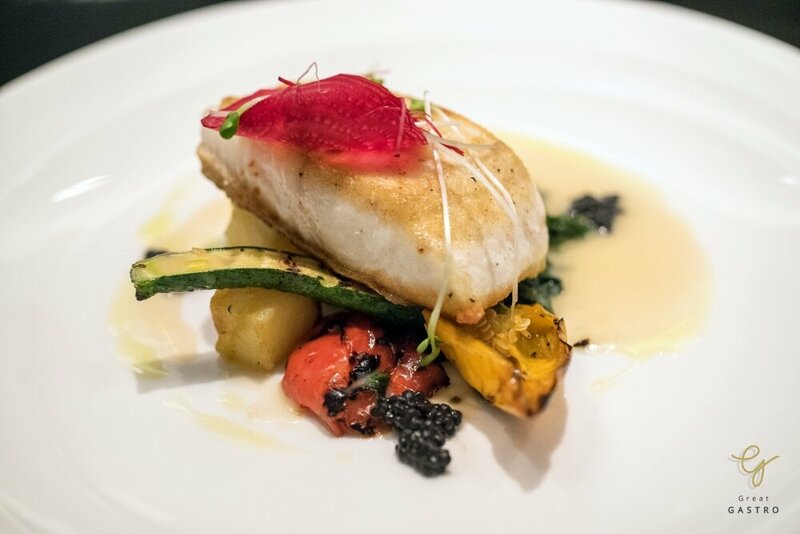 The fish main dish arrives with a thick fillet of Halibut that is pan-roasted until it comes out beautifully golden and crispy. 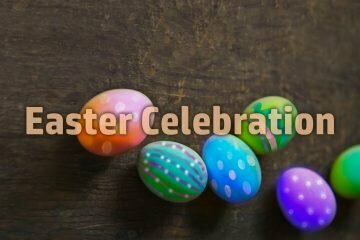 It is then served with rosemary buttered asparagus, white wine sauce, and garnished with Siberian caviar. 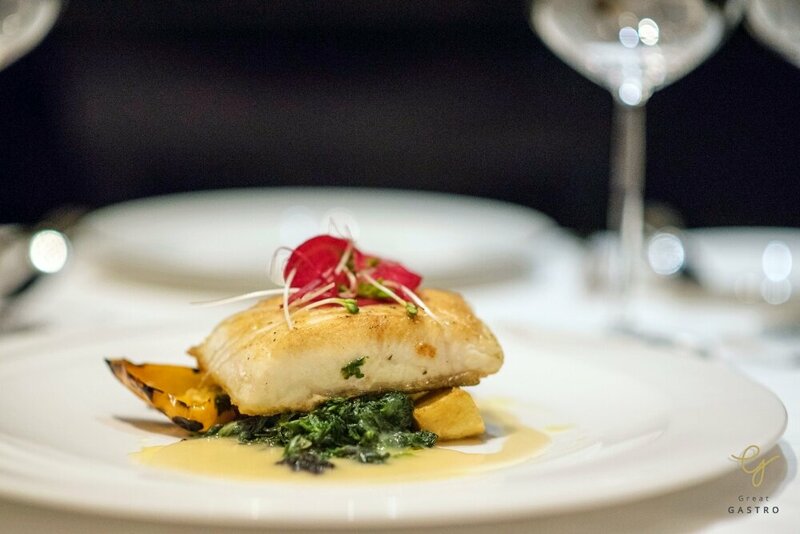 The fish has a rich and tender texture with an aromatic and mouth-watering aroma. 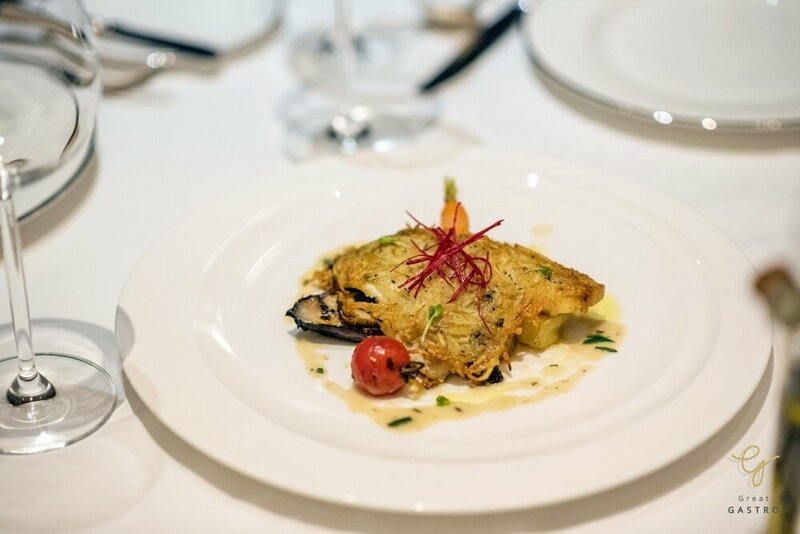 The pan fried Mediterranean Sea Bream, which comes next, is surprisingly excellent in terms of both flavor and presentation. 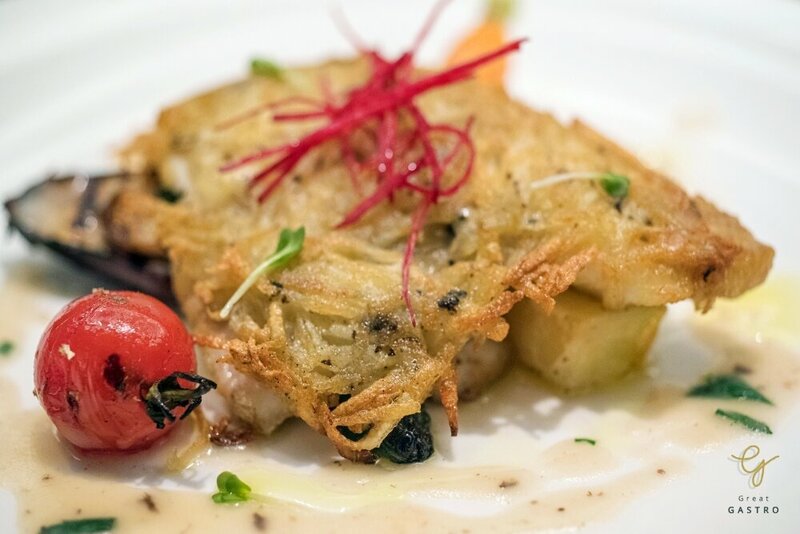 The deep-fried potato crust sits creatively atop the succulently tender fillet with an accompaniment of braised spinach and truffle anchovy sauce, adding a briny fragrance to the splendid creation. 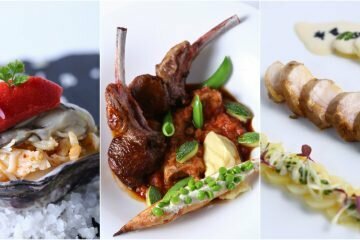 For the beef main dish, enjoy the all-time-favorite Kurobuta pork prepared Italian style!  The perfectly cut meat is blanketed with mozzarella and put in the oven until it smells heavenly. 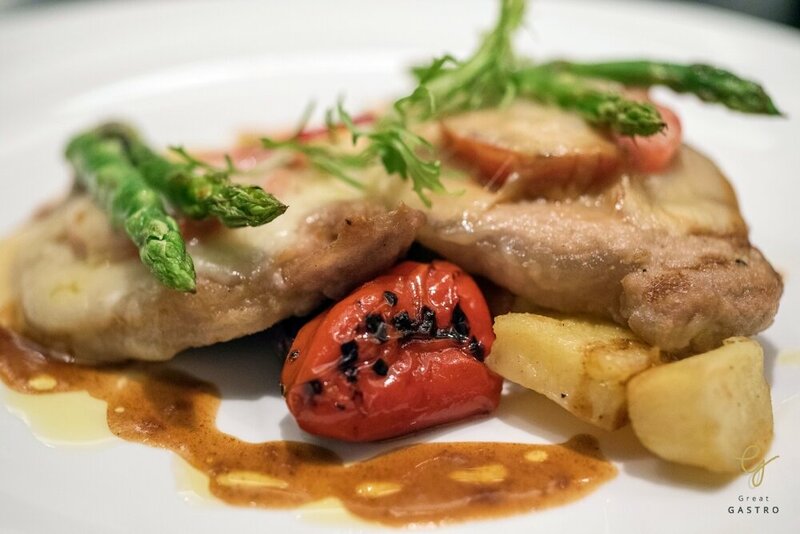 Plated with a well-selected fresh tomato, asparagus, and roasted potato before dressing it with Marsala wine sauce, this piece of boneless meat is outstandingly delicious. 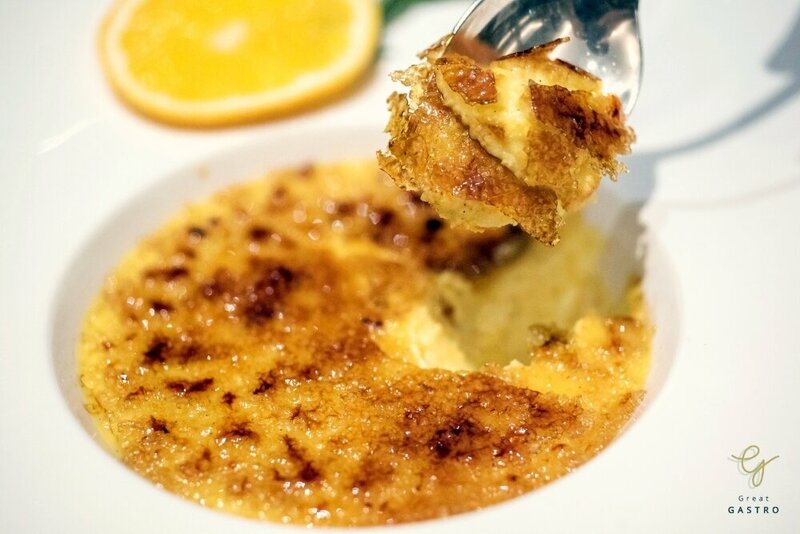 Be spoiled with an Italian style dessert, Crème Brulee that comes with a sweet, crisp layer of caramelized sugar and a smooth and creamy custard. 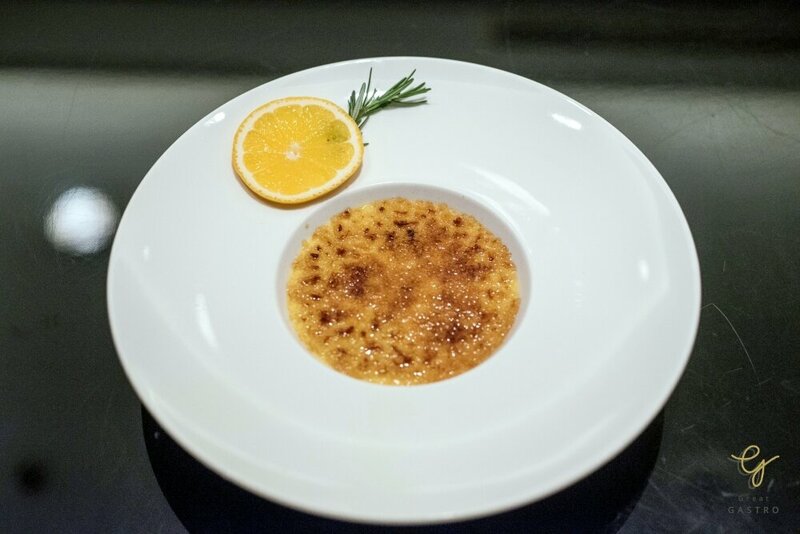 It is a perfect balance of flavor and texture. 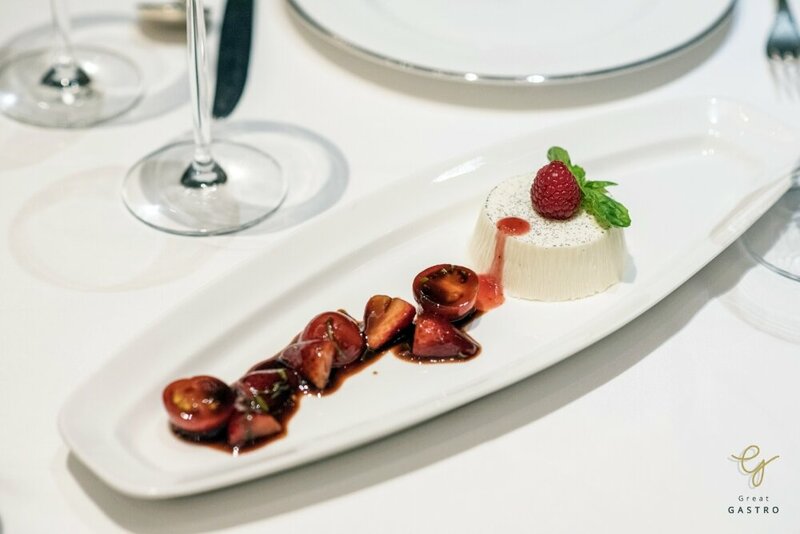 Satisfy your sweet tooth at the end of the meal with a vanilla panna cotta that offers a delicious combination of sweet and sour flavors as you bite into it. 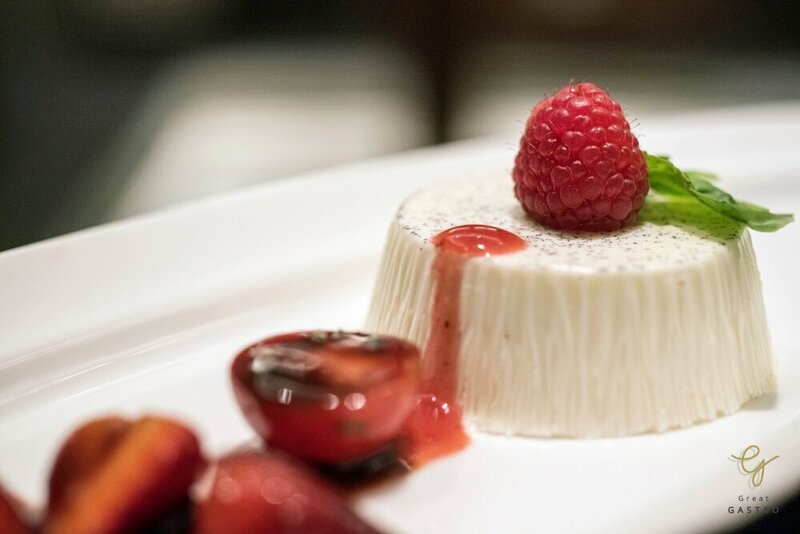 Served along with fresh balsamic, berries, and tomatoes, this panna cotta is covered by a decadent amount of delightfulness that well represents a taste of Italy. 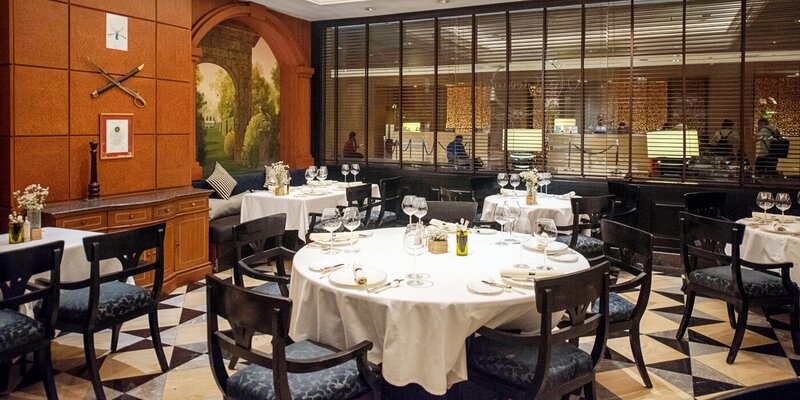 Don Giovanni is without a doubt one of the top Italian restaurants in Bangkok, with a luxurious atmosphere that well combines rich Italian and European arts together as well as splendid Italian dishes created by Chef Stefano Zaninelli using only well-selected ingredients from all over the globe. 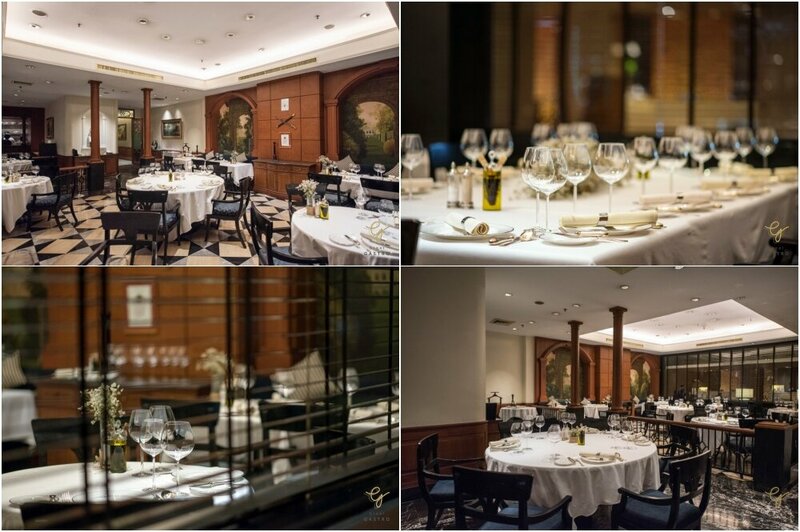 If you have a chance to visit Ladprao area, do not miss this ultimate dining experience at Don Giovanni at Centara Grand at Central Plaza Ladprao.